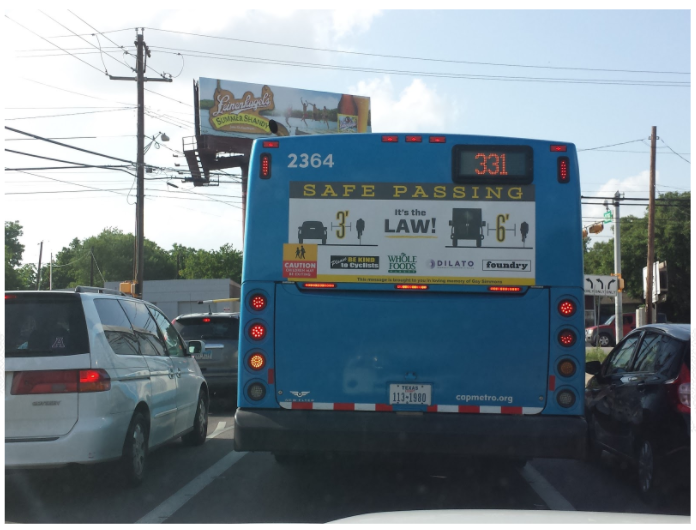 In 2014 we launched a program to educate road users by partnering with transit authorities and sponsors to wrap buses with our Safe Passing graphic. As the program has grown we have expanded to included a "VIP Cyclists" and "Hands Free" graphic when applicable. This type of in the moment education is extremely effective in bridging the gap between the passing of a law and the education of road users.